There are two types of insights Darren has provided to me over the years: those that I suspected myself but found comforting to be supported by an independent third party, and those that I never suspected and which made me feel somewhat uncomfortable. The latter is what will make a difference to your business, but chances are, if you have a marketing problem, you need a dose of both. It takes a village. It seems that almost everything in life does. Darren’s strategic approach in capturing the marketing village-speak in Top 50 Marketing Management Posts is what one may call book brilliance! As busy professionals, you can quickly scan hot topics, gain key insights, and find yourself in a thought-provoking creative space which leaves you with great nuggets to help answer the question pondered by all at some point: ‘What next?’ TrinityP3 nailed this one. A must-read! Darren is one of a kind. 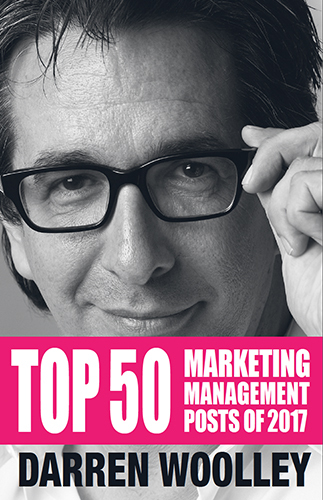 His background, experience and eagerness to do good in helping advertisers and the advertising industry to perform better is unique. 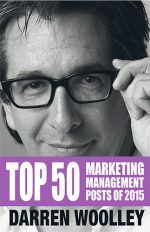 He is challenging in his views, and his insights and advice are always relevant and valuable. In our industry there are plenty of ‘so-called’ thought-leaders. Darren is really a thought-leader! Must be his scientific background! 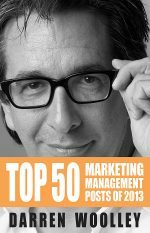 The Top 50 Marketing Management Posts book has not only become my bible, but also a great reference to share among my procurement marketing peers. If you are after a straight-to-the-point, insightful and sometimes thought-provoking book, this is the one. These compilations of blog posts are not about theory but tangible and pragmatic tools/concepts delivered from an objective standpoint.